A middle-aged man returns to his childhood home to attend a funeral. He is drawn to the farm at the end of the road, where, when he was seven, he encountered a most remarkable girl, Lettie Hempstock. Forty years earlier, a man committed suicide in a stolen car at this farm at the end of the road. Like a fuse on a firework, his death lit a touchpaper. The darkness was unleashed, something scary and thoroughly incomprehensible to a little boy. And Lettie - magical, comforting, wise beyond her years - promised to protect him, no matter what. Okay, I freely admit to being a Neil Gaiman fan going in. The spectrum spanned by his imagination is vast. 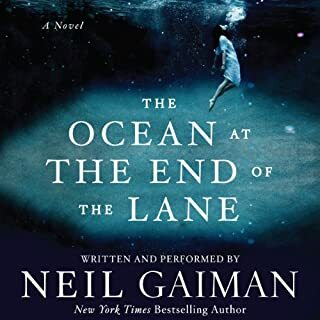 Even so, I found this short work, largely told from the viewpoint of a seven year-old but NOT a children's story, to be extraordinary and fresh even for Gaiman. I highly recommend it. In fiction, the spy is a glamorous figure whose secrets make or break peace, but, historically, has intelligence really been a vital step to military victories? 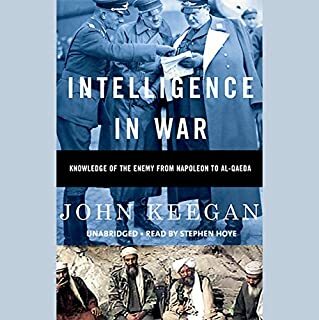 In this breakthrough study, the preeminent war historian John Keegan goes to the heart of a series of important conflicts to develop a powerful argument about military intelligence. In his characteristically wry and perceptive prose, Keegan offers us nothing short of a new history of war through the prism of intelligence. Yes -- this is best book I've encountered that examines intel in perspective -- the contribution it can make and its limitations. What was one of the most memorable moments of Intelligence in War? The book examines a series of case studies illustrating where intel fits into the conduct of war. There are numerous practical examples, and the author gives the background that helps the reader understand his viewpoint. Have you listened to any of Richard Matthews’s other performances before? How does this one compare? No, I have not, however his rendering of this work was completely appropriate to the content. Hard to choose: I knew the generalities underlying many of the case studies, but the author filled in so many blanks in my knowledge that it's difficult to choose one. The comment that the book is mistitled is, in my opinion, incorrect. If what was expected was a complete history of the evolution of intelligence in warfare, this is, indeed, not it. On the other hand, if one reads the title as expressing a view of how intel fits into the "big picture" of fighting and winning or losing a war -- as I understood it -- the book gets an A+. To understand the point, one has to understand the context, and the author's detailed presentation of his research, reinforces his premise (whether I agree with it wholly or not) brilliantly. I would recommend the book to any student of the forces at work in the conduct of warfare, and the focus on specific examples throughout history gives his message power. 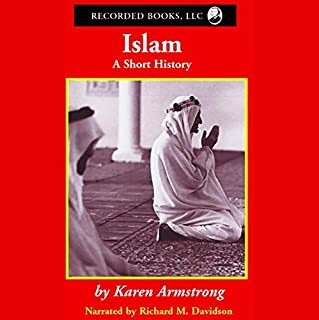 Best-selling author and renowned religious scholar Karen Armstrong presents a concise and articulate history of Islam, the world's fastest-growing faith. Beginning with the Prophet Muhammad's flight from Medina and concluding with an examination of modern Islamic practices and concerns, Armstrong delivers an unbiased overview. She contends that no religion is more feared and misunderstood by the Western world as Islam, and firmly challenges the notion that these two civilizations are on a collision course. Would you consider the audio edition of Islam: A Short History to be better than the print version? I think the print version probably makes the Arabic words a bit more comprehensible. By the end of the book, I'd forgotten words that were not recently used, and rewinding to find them is daunting. The history part -- the introduction and first three section, are the most interesting. Yes, there's history in the others, but I eventually found Ms. Armstrong's repeated emphasis that bad people are not being good Muslims tedious. Personally, I try to form opinions about people based on their actions, and NOT their political. ethnic and religious affiliations. We're all fallible humans anyway: "There's so much good in the worst of us, and so much bad in the best of us, that it ill behooves any of us t find fault with the rest of us." She beats the inaccuracy of Muslim stereotypes into the ground. What does Richard M. Davidson bring to the story that you wouldn’t experience if you just read the book? Mr. Davidson is a very capable reader -- which always enhances the experience. Neither laugh nor cry, but yes to the extreme reaction query. I applaud the premises that understanding Islam better is worthwhile, and not to confuse the actions of its adherents with the original intent and philosophy of the religion. Nevertheless, I need to reiterate that I found the author's efforts to convince me of something with which I already agree to be wearing. OK, I get it -- nobly intentioned religion with the usual numbers of misguided or corrupt practitioners. To quote myself, "There is no idea so good or noble that it can't be twisted by people through greed, hatred or the lust for power." I reiterate -- this is a must-read to develop an intelligent and informed view of Islam. I wish that more of our political leaders would take the trouble before proving their own ignorance and reinforcing other people's. On the other hand, if their minds are already made up, facts will probably only confuse them. For nearly 2000 years, the legendary tomb of Alexander the Great -and the extraordinary riches concealed within - has remained undiscovered, but recent events may hold the key to locating the fabled vault. Only one team has what it takes to solve the mystery that has plagued historians for centuries. No, but I found it surprisingly hard to not finish. The central plot revolves around an ancient mystery, and I found I'd been hooked. Not suspenseful to me, but I got intensely curious about who the "baddies" were. Unfortunately, I had a lot of trouble believing that the main characters were endangered when they were supposed to be -- you never worry much about the Road Runner no matter HOW fiendish Wile E. Coyote is being. What didn’t you like about Andy Caploe’s performance? Andy tried too hard. He portrayed the characters as stereotypes. For example, one of the main female characters sounded like a New York "Valley Girl" and one of the main male characters sounded like a stereotypical "dumba-- Marine." I resent both these stereotypes, and that definitely irritated me throughout the book. In all fairness, though, the characters were pretty stereotypical anyway, so perhaps Andy's not entirely to blame. Yes...it'd be a decent 120 minutes' entertainment, maybe with Clooney as the leading man. Subject to one condition: I wouldn't see the movie if I'd already read or heard the book. Again, the main point for me was finding who the bad guys were and their motivation. Could have been a lot shorter, plot complexities notwithstanding. Ten excited guests arrive at the Westlake Estate, expecting a lavish retreat. They are the winners of a sweepstakes to "Live Like a Billionaire for a Week." But what was supposed to be a promising escape soon turns into a horrific nightmare. Within hours of arrival, the guests sit down for an extravagant dinner. When they pull their party poppers as instructed, a loud chorus of bangs resounds, followed by earsplitting screams as the guest seated at the head of the table bursts into flames and slumps to the floor. The author says at the beginning that people like to solve the crime along with the detective in the story. That, however, requires some clues to be dropped along the way. Some red herrings are expected, but not like thoughts described in the mind of the murderer that lead you to believe that he/she is truly sympathetic to the victims. Even assuming that the murderer is a sociopath, this is not quite fair play by the author. This may be acceptable for a TV script in which resolution is expected in an hour, but it doesn't play very well in a book. The book also comes through like a remake of the movies "Clue" and "Murder by Death". The main difference lies in some truly ingenious albeit lurid and contrived murder methods. I would NOT change the narrator -- he's great! If you’ve listened to books by Anthony Zuiker before, how does this one compare? The resolution, which was left truly up in the air till the end, although how the murderer came to be able to afford the setup is truly mysterious. 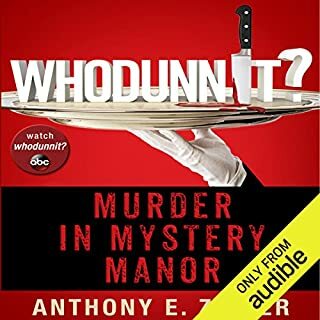 Did Free: Whodunnit? inspire you to do anything? Not particularly -- my background obviated the need to check the technologies in the murder methods, most of which I figured out before the textbook solution was revealed. A Holmes disciple for years, I rate it brilliant! What made the experience of listening to Dust and Shadow the most enjoyable? It convincingly answers the burning question of why Holmes didn't thwart the Ripper. 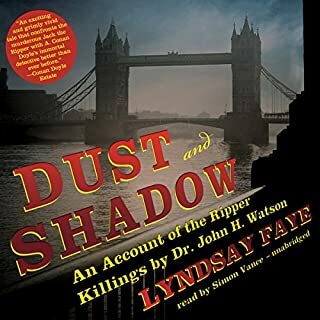 Both Dr. Doyle's works and the facts of the Ripper case were brilliantly researched, and the result was true to the spirit of Sherlock Holmes. Watson is presented as a truly sensitive, upright and admirable man and Holmes is, of course, depicted as a courageous man and phenomenal intellect. As a member of a BSI scion society for nearly 20 years, I approve completely. And Mr. Vance's reading did the story justice! 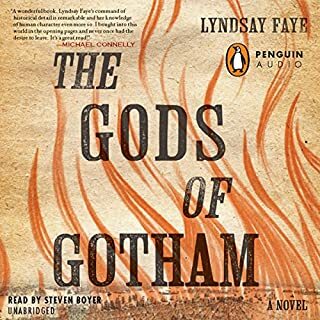 Like Gods of Gotham, previously reviewed, this is a wrenching book to read at times, but it could not be otherwise and still true to the details of the Ripper case. It is 1845. New York City forms its first police force. The great potato famine hits Ireland. These two seemingly disparate events will change New York City. Forever.... Timothy Wilde tends bar near the Exchange, fantasizing about the day he has enough money to win the girl of his dreams. But when his dreams literally incinerate in a fire devastating downtown Manhattan, he finds himself disfigured, unemployed, and homeless. His older brother obtains Timothy a job in the newly minted NYPD, but he is highly skeptical of this new "police force". What did you love best about The Gods of Gotham? The leading character is a truly remarkable human being -- an intensely caring person, courageous and forgiving despite moments of intense stress and anger. What was one of the most memorable moments of The Gods of Gotham? I can't possibly answer this question without creating a "spoiler," but here's a hint: it concerns the evolution of the relationship between the main character and his brother. What does Steven Boyer bring to the story that you wouldn’t experience if you just read the book? Mr. Boyer made the character -- who is the narrator of the story -- come to life. He got into the part brilliantly. I couldn't manage one session because of other responsibilities, but I turned it on to continue every chance I got. One-word answer: definitely! This work is uplifting at end, but it also describes a rather dark time in New York CIty, and is not for the squeamish. I'd love to give it five stars in every category, but I couldn't because of this consumer advisory. If you don't mind a bittersweet, rough ride, I'd recommend it highly. Want the good news or the bad news first? OK, here's the good news: the performance -- the reading -- is excellent, and preserves the spirit of Stephenson's whimsical wit without trivializing the hard-hitting bits. Unfortunately, the bad news outstrips the good. "Unabridged excerpts" is probably the worst choice for this title. 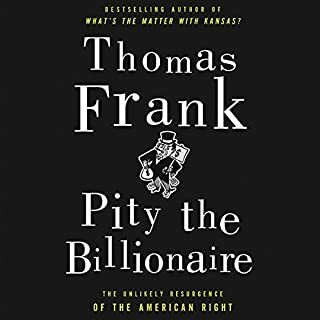 An intelligent abridgement would retain the essential elements of all the action; in contrast, this choice provides only broad summaries from among the most interesting parts of the book. The result is that many details from the missing sections that provide plot coherence (and Cryptonomicon jumps around a lot in time and space) are gone without a trace, and what is left is both confusing and more tantalizing than satisfying. 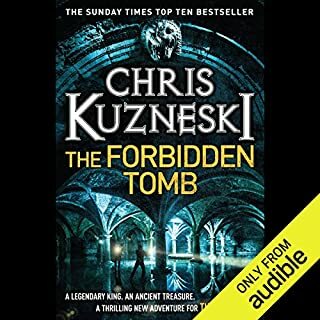 Blame the publisher for this, by the way -- not Audible; as far as I know, this is the only form in which Cryptonomicon is available as an audio book. My advice would be to save your money on this edition, buy the actual book, and set aside a significant amount of time to enjoy it. Or wait for another publisher to negotiate rights for a better audio edition.